I’d be delighted to hear from you. 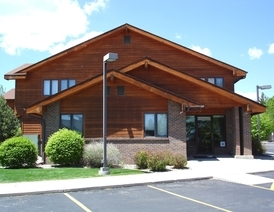 Our second Loveland office is centrally located on 29th Ave, just to the West of Taft Ave. If you’re headed north on Taft Ave, you’ll find us just after passing Lake Loveland. When you come in, you’ll find a light, bright, cozy office space waiting for you. Just come on in, have a seat, and your therapist will be right out to greet you, taking you to one of our nine welcoming office spaces. If you live closer to Greeley, please visit our Greeley office page here.